We are excited to introduce our new Ireland Pilgrimages! We begin where it all began, at the Hill of Slane, where St. Patrick lit the first Paschal Fire in 433 A.D. and Hill of Tara where St. Patrick converted the pagan High King Loegaire. We travel back 5000 years as we travel through Boyne Valley past the tombs of Newgrange, Knowth and Dowth, megalithic sites, on our way to Clonmacnoise, where the kings were buried. We will spend time at the Knock shrine, where Our Lady, St. Joseph and St. John the Evangelizer appeared in 1879. At Ballintubber Abey, we will stand in awe of the struggle of the Irish people despite dungeons, fire and sword as Mass has been celebrated here, every day, for 800 years and counting! We will visit several sites of monastic communities that populated this land, including Island Inishmore and Skellig Michael. The varied landscape of this island will also be appreciated as we visit the Cliffs of Moher, the Ring of Kerry, Glendalough in Wicklow Mountains National Park and Powerscourt Garden. Of course, we will visit Blarney Castle to kiss the Blarney Stone and also learn how a pint of Guinness is made at the Guinness Storehouse. More importantly, we will encounter the Relic of the Head (Sir Oliver Plunkett), visit the Shrine of the venerable Matt Talbot, meet the guardian of a relic of St. Padre Pio, the Belfast Adoration Sisters and several of our local friends doing important work in the Church. 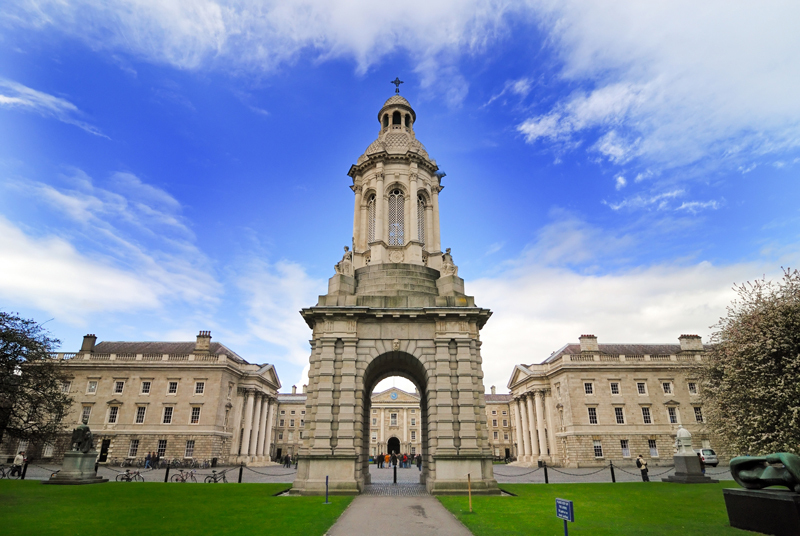 We will visit important spiritual and political sites in Dublin and Belfast, as well as stay at Trinity College and view the Book of Kells. As we travel around the Emerald Isle, we will realize that the ruins and relics are contemporary artifacts, living icons that show the way through the recent death and burial of Catholic Ireland to its resurrection and rebirth. As we have discovered, the faith of the Irish runs deep and has survived even the harshest of circumstances including martyrdom of the faithful. And still it endures. Leading us is Irishman, Kevin Turley, a Catholic filmmaker, writer, journalist, scriptwriter, radio presenter, television host, podcast presenter and film and book reviewer. He writes under K.V. Turley. Kevin is a man of many talents. His greatest gift is storytelling. He captivates his listeners by illuminating the history of the particular places visited and the lives of the saints from centuries past. Kevin is not a typical tour guide; you will learn about the places we visit with captivating stories you will always remember. For more information about Kevin, including links to several of his articles and a video, click the button below.